Total counts: 1 audio/8 physical; 8 fiction/1 nonfiction. And a trip to France! 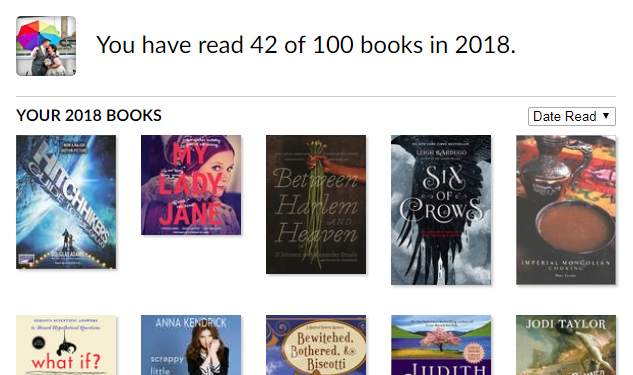 I sped through January, but got the flu in February and don’t seem to have regained steam in March, but I did get through 17 books (9 audio/8 physical; 11 fiction/6 nonfiction) and started three more. Completely unintentionally, The Hitchhiker’s Guide to the Galaxy (audio, read by Stephen Fry) was my 42nd book this year.